Bounce back to the seventies with this iconic retro space hopper. 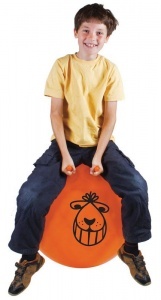 These toy bouncers are 60cm in diameter and suitable for kids aged 6 and up. Fantastic fun for kids and adults at parties, garden events, fetes or fun days. 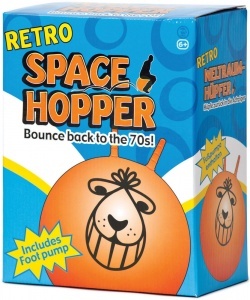 Originally an Italian invention, the Space Hopper was first introduced to the UK in 1969 but gained peak popularity in the seventies. 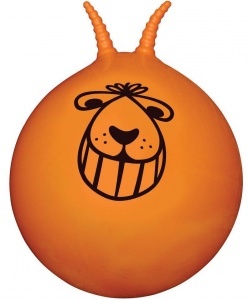 A space hopper is simply a large rubber ball with handles that is great for kids to sit and bounce around on. This space hopper includes a foot pump. 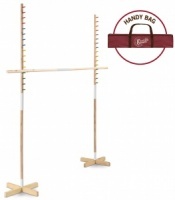 Wholesale and bulk buy discounts may be available on these toy bouncers subject to your required quantity. Please call us to enquire.